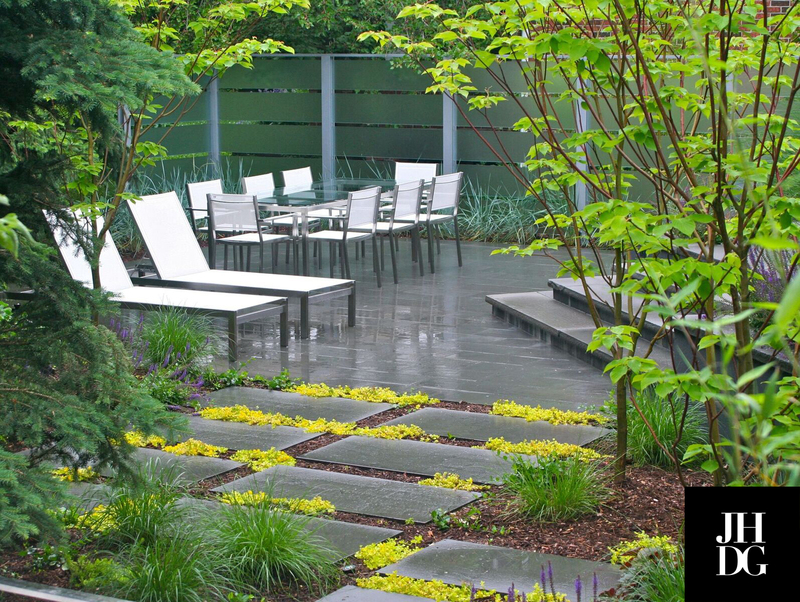 This modern North York landscape design is a Landscape Ontario Provincial Award of Excellence Winner in 2017. 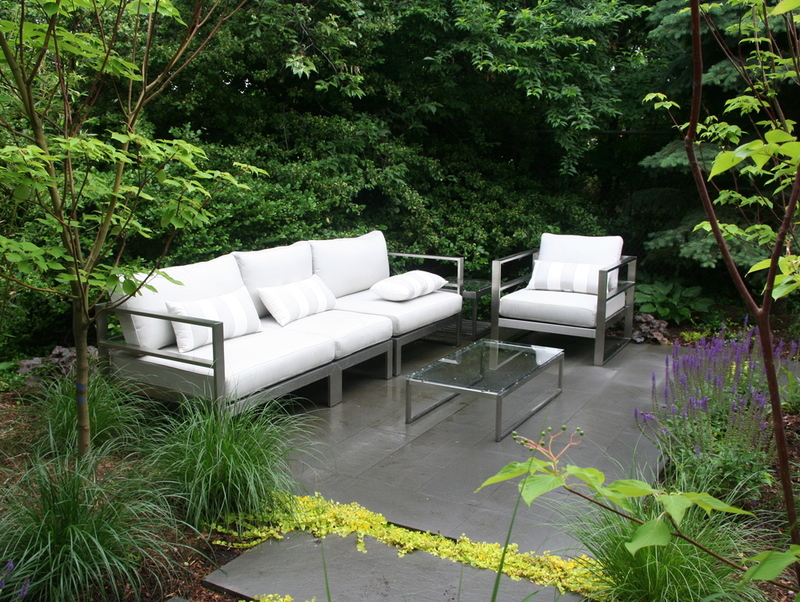 Most recently, this garden was featured on the prestigious Association of Professional Landscape Designers (APLD) Garden Tour. 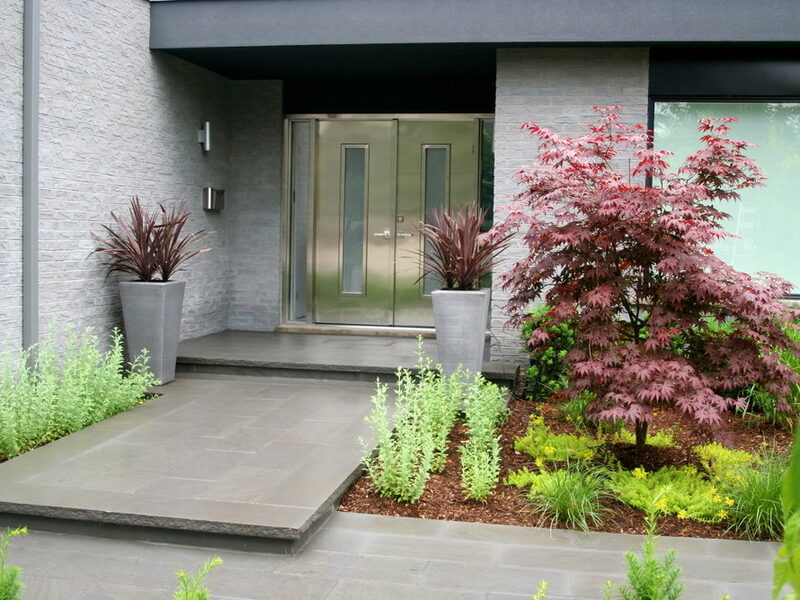 Back in 2011/2012, Jennifer Hayman Design Group was asked to update the landscaping on this recently renovated home. 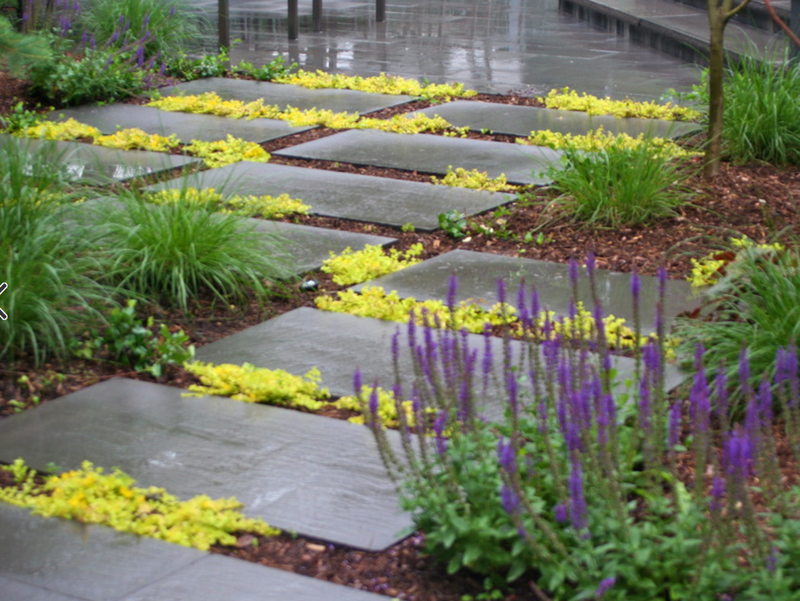 The landscaping was approximately 20 years old and in need of a completely new look and feel. 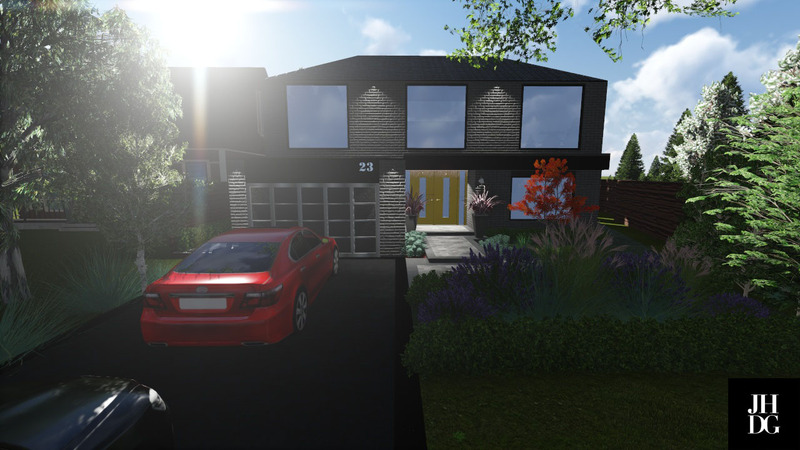 In the front yard, our designer created stunning curb appeal with floating stone walkways, as well as new steel doors, new windows, and new brick stain. 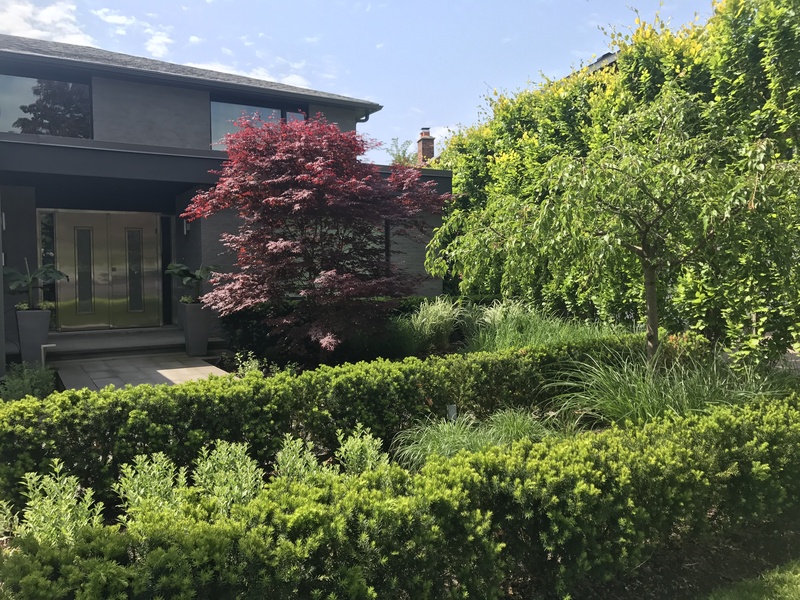 The gardens were planted with a juxtaposition between formal hedging and ornamental grasses and mass planting of russian sage. A weeping cherry tree is the focal point of the front garden which is bordered with beech hedging. In the backyard, our designer used a 45 degree layout in order to make use of the pie-shaped lot. We created an elevated flagstone landing that ran the length of the home, making use of two walkouts from the home. Down a few steps were dining and sitting areas created from custom ordered Indian flagstone. The soft ethereal quality of the tempered frosted glass fencing panels offer elegant privacy. The sitting and dining areas were connected by massive 2” x 3” flagstones stepping stones. We planted a blend of different greens and purples, including textural grasses such as carex and mass planting of ferns amongst a grove of dogwoods, which Jennifer refers to as the magic in creating the secret garden feel. 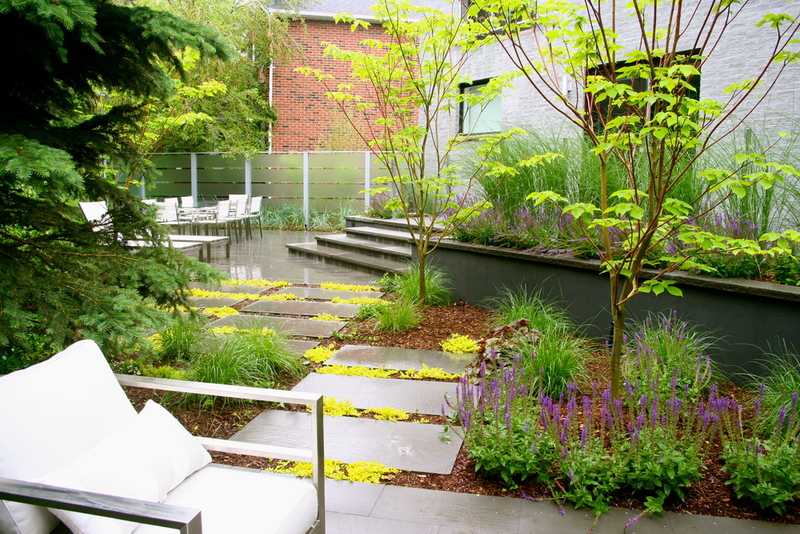 This modern urban retreat North York landscape design transformed the property and offered homeowners a timeless garden to relax and rest in, as well as a hub for entertaining with their family and friends.